It’s Here! 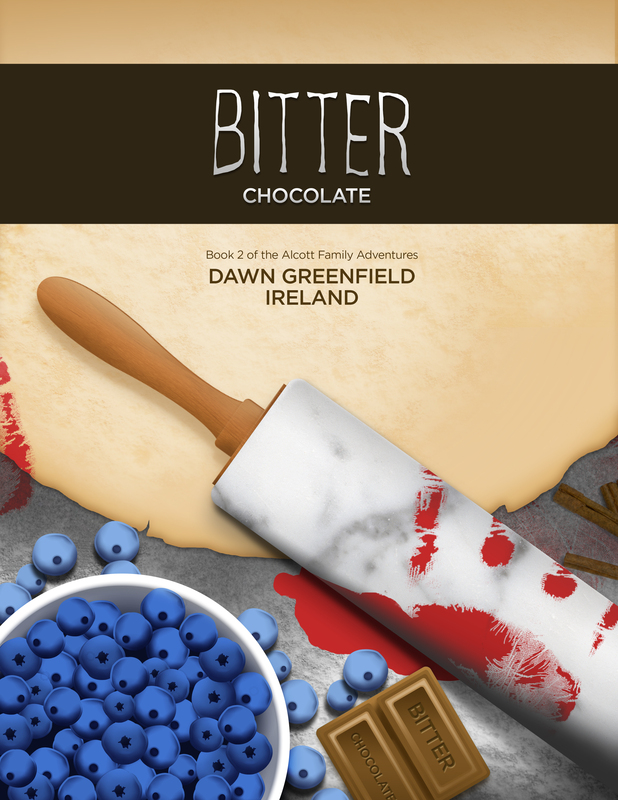 Bitter Chocolate by Dawn Greenfield Ireland – Book Giveaway!! Want to win a copy of Bitter Chocolate? I held off on my review of Hot Chocolate as I waited to post the Bitter Chocolate Tour! But now that it is here, you will see my post for Hot Chocolate on the next page. Enjoy! And now, with no further ado, my review of Bitter Chocolate! I admit it, as I have admitted it before. I grew up in the South. And yes, that does include Texas. Oh, I most definitely didn’t live the “gold spoon in my mouth” kind of Southern, but still, I know the voice of the South. And the voice is in full cry in this, the second in the Alcott Family Adventures series. When we left the Alcott ladies at the end of Hot Chocolate Madge, Lila Mae and Dorothea had been through a rough time. When the husband of Bambi, the hotty blond bombshell nurse for their 92-year-old father, Bernie, was murdered the ladies found their lives turned upside down. Now, in their true “Southern Lady” style, the girls have gone into seclusion, resting, relaxing (well, as much as three high strung Southern Ladies can relax!) And things are, of course, “interesting” again, in the “May you live in interesting times” way, as ‘baby’ Dorothea finds herself pregnant at 55 years old. Hey, aren’t you supposed to be dealing with hot flashes at 55, not morning sickness? Needless to say, Dorothea and her hubby, Henry, may be happy about the babies (! ), but that doesn’t mean it isn’t a lot to take in! Are you crazy? Vonnie and Charlie are in college! By the time the twins get that age, I’ll be in my seventies!” Dorothea said. And then, of course, there is Bambi, pregnant by the selfsame 92-year-old father of the Alcott girls, (Hey! I did say in my review of the last book that Daddy was “grabby handy” right?) Now enjoying the wealthy passed on to her by her murdered husband, the disreputable Jimmy Ray Chaline, she has become close with the girls, and spends lots of time coming to grips with her new fortune and new family. So, there is a lot of baby talk going on in this newest installment. But not all is babies and butterflies, of course, and what happens next is funny, complicated and a book which could only be found in the southern climes. . . This is a “yummy” mystery, as was quite apparent in Hot Chocolate as the girls toured Houston’s high-class restaurants, as well as the offerings of their own household cooks. And you will find recipes on the back of this volume as well – yum! And the whole funny, quirky cast returns in Bitter Chocolate as well, though a few new Houston socialites appear as well, including mute Cousin Benny, uh, make that Teddy, a victim of PTSD and yet another quirky, odd-ball character thrown into the gumbo pot of the Alcott family. And now Bernie has decided he can’t live without his Bentley. Daddy, we sold your Bentley ten years ago. So, we add Chewie, Lila Mae’s houseman’s cousin, as Bernie’s chauffeur. Well, we never said the whole cast were WASPs! Then there is Tilly, niece of Zoe, the wife of Alcott family attorney, Walter Branson. We first met Tilly, of course, in Hot Chocolate, when the hard drinking, coke snorting thirty-two-year-old came for a visit, and was subsequently accused of murdering the unctuous Jimmy Ray. Now, cleared of forking over Jimmy Ray, she is being forced by the family to dry out and get a life real life. But the whole “getting a real life” thing runs into a wall when Tilly’s gangster daddy is found murdered. What’s a rich, entitled, chocolate loving family to do? Ireland’s characters, setting, and attitude are purely River Oaks Houston Southern. Mansions and food, shopping in the best boutiques and food, oh, and chocolate and food, let’s not forget Alcott Chocolates! I will admit, I found this a more refined and readable volume of the Alcott Family Adventures. I still found the constant references to just how much money these people wallow in to be rather, well, snobby I suppose you could say. A half-dozen Bentley’s at $276,000 a pop, all by themselves could feed poor families for several years. Be that as it may, the wealth is the backbone of the storyline, and I was able to put it aside as being important to Ireland’s tale. I received this book from Ms. Ireland in return for a realistic review. All thoughts are my own. Bernie, the Alcott sisters’ 92-year-old father, decides he wants his Bentley back. The sisters and Bambi are horrified. They hire Joseph’s cousin Chewie as Bernie’s new chauffeur. Amelia’s eyes drift toward the dining room and beyond – is the house empty, or is there a murderer inside? She backs up, turns and hurries outside. After setting the bags on the ground, she slips back into the kitchen and snaps a picture of the dead guy. Then she calls Detective Chance Walker, Lila Mae and finally… 9-1-1. “This cozy mystery is a raucous romp. A light, quick read, it is laugh-out-loud funny all the way through except maybe for the scene when the murder victim is discovered and the scene when the murderer declares themselves tho even those two scenes have elements of slapstick visuals incorporated into them. The plot is quite masterfully constructed and kept me guessing right up to the moment the culprit was revealed and that is not easy to do as I’ve read or watched so many mystery stories I often figure it out well before the halfway point. Where the story truly shines though is through the characters of which there are many yet each one is fully rounded and uniquely eccentric. “Hot Chocolate is a captivating tale with vivid and fun characters. I could almost visualize myself socializing with them, and I definitely enjoyed their interactions with one another. They felt like real sisters, albeit high-society ones. All the players are in place, and we think we have them figured out. So when something unexpected happens one night at the bowling alley, the Alcotts, Bambi, and countless others are caught up in a mystery that had me turning pages rapidly. Who or what could be responsible for the shocking events? What will Bambi discover when she starts searching through her husband’s dresser drawers and files? And what other surprises await the Alcotts? “Hot Chocolate is a light-hearted Southern comedy. The Alcott sisters are the epitome of Southern culture. They are each other’s fiercest enemy and closest companion. One of my all-time favorite shows is Designing Women. The Alcott sisters, Dorothea, Lila Mae, and Madge could be the Sugarbaker women. 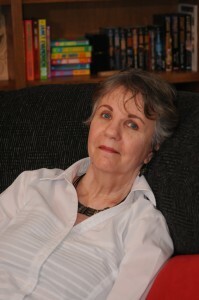 Picture Suzanne Sugarbaker every time you read something about Dorothea and you’ll be rolling on the floor laughing every time she hollers and faints. It doesn’t get better than this. “I never read anything by Dawn Greenfield Ireland before, but she definitely knows how to write mysteries the way I like them. The story is filled with twists, turns and eccentric characters that are essential in writing a cozy mystery. It’s fast-paced and keeps the readers on their toes. There are also some giggles and a dash of romance thrown into the mix. At the end, she includes some yummy recipes that are featured in the book. Suddenly I’m in desperate need of a hot chocolate with some marshmallow fluff. “I love reading a good cozy mystery and when it’s paired with good old fashioned southern charm and whit well I’m sold! “Hot Chocolate” by Dawn Greenland Ireland gave me that plus a plenty of offbeat characters,along with a fast moving plot with a murder mystery woven in, sprinkled together with a liberal amount of humor in to make this a book that I just couldn’t read fast enough! As I read this story I couldn’t help but think that it would make an awesome movie. Set in the south with more than a few quirky characters that had me laughing out loud on several occasions.As I read the story I found the characters getting stuck in my head and could just imagine their southern twang. Dawn Ireland is the CEO of Artistic Origins Inc, a 100% woman-owned publishing and technical writing service company that has been doing business since 1995. She’s an award winning independent publisher and author of The Puppy Baby Book , Mastering Your Money, and Amazon Best Seller Hot Chocolate (the first in the series, and her fifth novel). The Hot Chocolate audio book was awarded the AudioFile Earphones Award on Valentine’s Day 2014. Thanks for taking part in the tour. I’m glad you enjoyed ‘Bitter Chocolate’ so much! Dawn Greenfield Ireland, Author of Bitter Chocolate: On Tour, Giveaway | My Life. One Story at a Time.